Certified Public Accountants and IRS Enrolled Agents in good standing and unlimited practice rights before the IRS will render all tax related services. Only qualified bookkeepers and Certified Public Accountants will deal with all bookkeeping and accounting requests. We understand that our Clients are different, and have diversified needs. Some do in-house bookkeeping and enjoy compiling records while others prefer to roll-over all the paperwork to an accountant or tax practitioner. Some Clients want a tax return prepared at low cost while many expect more than just a tax return preparer, they look for a trusted tax adviser, tax planning specialist, or an experienced accountant. To match the needs of our Clients, we have adopted a pricing model that is heavily dependent upon the additional value we create for you. Moreover, we are challenged to ensure the value you receive, always exceeds the fees you pay. Our value-based pricing model also helps us keep our professional fees far below the average for the industry. Our tax return preparation fees start as low as $60.00 for 1040-EZ, 1040-A, or 1040NR-EZ, and $95.00 for 1040 or 1040-NR returns. Most state income tax returns are charged flat at $50.00 ($60.00 for CA and NY State tax returns). Additional flat-rate fees apply only if certain forms, schedules or other value-added services are required for the accurate completion of your individual return. 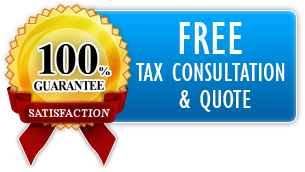 Our partnership tax return fees start as low as $400.00 for a 1065 return. State income tax returns start at $90.00 per state. Additional flat-rate fees apply only if certain forms, schedules or other value-added services are required for the accurate completion of the partnership return. Our corporate tax return fees start as low as $500.00 for 1120-S and $550.00 for 1120/1120-F returns. Most state income tax returns start at $100.00 per state. Additional flat-rate fees apply only if certain forms, schedules or other value-added services are required for the accurate completion of the corporate return. For bookkeeping and accounting services we offer our Clients are a choice between a stand-alone bookkeeping at a price of $40.00 per hour, or a recurring monthly package with additional benefits, such as preparation of accounting policies, interim financial statements, various statistics, forecasts, budgets, planning and payroll services. All packages require an annual subscription, and the fee varies depending on your particular needs. All bookkeeping services are rendered by Professional Bookkeepers, who are supervised by a Certified Public Accountant. Our fees applicable to various tax compliance services, including appeals and representation, are summarized in the table below. Need an estimate of our fees? Enter your email address to instantly download Taxtake's fee schedule. Should you wish to register for any of our services, you may do so at any time. Did not find what you were looking for? Ask your questions and get a free quote with more information about how we can assist you further. You may also contact us directly.